Where Is Budapest and How Do You Get There? You have likely heard of Budapest, but you might not be quite sure where it is. 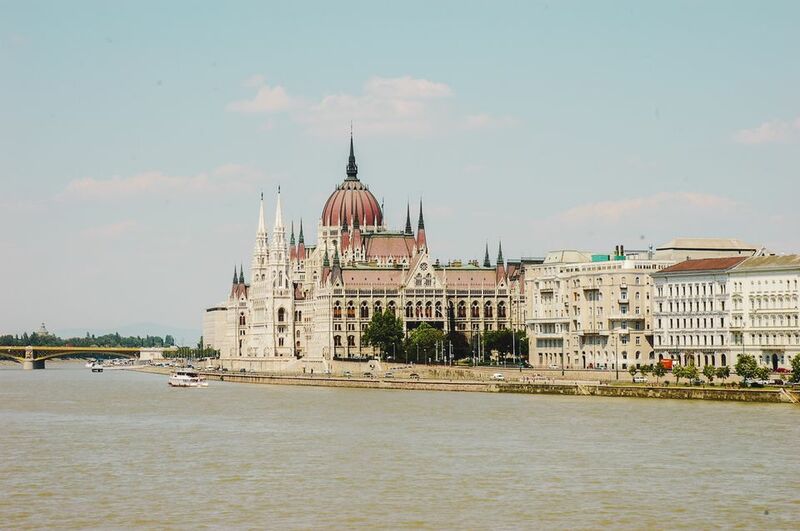 The next time you are mulling around possible travel destinations with others you might want to consider adding Budapest, Hungary, to the mix. This central European city is an incredible vacation spot, worth exploring on its own or as a part of a more extensive travel itinerary through Europe. Its historic architecture, unique cuisine, and thermal baths are at the center of a bustling tourism industry in the capital city. Budapest is the hub of Hungarian culture with its opera houses and museums. It is one of the largest cities in Europe with more than 1.7 million people. Budapest, the capital of Hungary, is not to be confused with Bucharest, the capital of nearby Romania. The city is located in the north-central section of Hungary and is divided by the Danube River, which separates the Buda side from the Pest side. The two sides were linked by the Chain Bridge in the mid-19th century, and Obuda, another part, was linked a few years later. The three historic sections of Budapest make up the modern Hungarian capital. Three islands on the Danube River are also a part of Budapest: Obuda Island, Margaret Island, and the largest, only partially within city limits, Csespel Island. Budapest sits on top of thermal springs, which have created a thriving and well-established spa industry that is one of Budapest's main attractions. On the European continent, Hungary is bordered by Slovakia to the north, Ukraine to the northeast, Austria to the northwest, Romania to the east, Serbia to the south, Croatia to the southwest, and Slovenia to the west. Some of the major European cities that are near Budapest are Bratislava, the capital of Slovakia, which is 100 miles (163 kilometers) away; Vienna, the capital of Austria is 135 miles (217 kilometers) away; Krakow, Poland is 182 miles (293 kilometers) north; and Prague, the capital of the Czech Republic is 275 miles (443 kilometers) northwest. Budapest is considered a great hub for exploring Central Europe. International flights to Budapest arrive at Budapest Ferenc Liszt International Airport, and many direct connections can be had from other major European cities. The airport is 15 miles (25 kilometers) from the city center. Danube River cruises and tours of Eastern and Central Europe also frequently stop in Budapest. If you visit Budapest by train you will arrive at one of its three international train stations: Nyugati (Western) Train Station, Keleti (Eastern) Train Station, and Déli (Southern) Train Station. Nyugati and Keleti Stations are on the Pest side, Deli Train Station is on the Buda side. From the stations, you can continue your travel in Budapest by metro. Keleti and Deli Stations are on the red metro line, while Nyugati Station is on the blue line. You can also travel by coach bus, which arrives at the Nepliget central bus station near the blue metro line, which gives you easy access to your Budapest hotel or other places in the city. The earliest inhabitants found Budapest a good place to settle, particularly because of its location on the Danube, a major European waterway and important trade route in the region. Budapest was originally settled by the Celtic people in the 4th century BC. But, by the rise of the Roman Empire, the Romans called the settlement Aquincum by 89 AD. Remains of the Roman settlement can be viewed by visitors to the modern city—they are some of the best-preserved Roman ruins in Hungary. The Magyars, or Hungarians, entered the Carpathian Basin, in which Budapest is located, in the 9th century. Hungarians are proud of their 1,000-plus years of history in the region.